What's wrong with this picture: The finance manager and his customer are seated across a desk in the F&I office. The manager leans forward, extending a copy of the completed retail installment sales contract toward the customer. Holding the contract a few inches in front of the customer's face, the manager points out the finance terms and critical disclosures on the contract. Give up? The finance manager failed to physically hand the customer the contract. A 2002 federal law requires that the customer must actually hold the document — not just see it prior to disclosure. Customers must also be allowed to take a copy of the contract home with them to review it. The above unintended snafu is known as “noncompliant disclosure,” and it is one of seven legal violations that the Association of Finance and Insurance Professionals calls the “Seven Deadly F&I Sins.” AFIP is a national trade group that trains and certifies finance professionals in law and ethics. It researched the most common ways dealership F&I departments land in trouble with plaintiffs' lawyers, state and federal regulators and investigative journalists. “It doesn't take all seven to take you down,” says Bob Harkins, an Arlington, Texas, dealer consultant who does training for AFIP. Misuse of the word “best.” Never use the words “best” or “lowest” to describe interest rates or finance charges, such as “this is the best rate available.” Never tell the customer the lender's “best” approval includes the purchase of certain products such as a service contract. 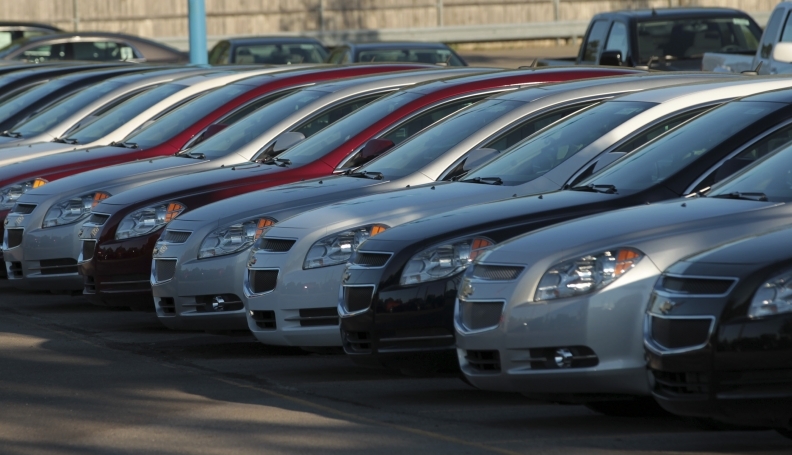 Credit approval for vehicle financing should never be tied to the purchase of other products. Forging signatures. Some unscrupulous finance managers deliberately forge documents to make it look as if customers have signed off on products they have not agreed to buy. More commonly what happens is that the customer, having had to sign multiple documents, misses a signature line or two. Because of the inconvenience — say, the customer lives far away — the finance manager fills in the blanks. Another common situation is a deal involving a co-signer. Co-signers must come in and complete the credit application and go through the loan process, even if it's a hassle. Filling in a co-signer's signature “happens far too often, and it is a felony,” Harkins says. Overstating income. The finance manager embellishes the customer's credit application to get the deal approved or to improve finance terms. Harkins points out that if the deal involves a bank, credit union or savings and loan with federally insured deposits, this is a federal felony that can result in jail time of up to 30 years and fines up to $1 million. A cousin to this practice — and just as dangerous — is “power booking,” in which the finance manager adds nonexistent equipment to the vehicle description on the loan document to inflate the amount financed. Noncompliant menu sales. Many dealerships sell aftermarket products using a menu that lists the products and prices. In this case, the finance manager changes the menu after the transaction to make it look as if customers accepted a product they didn't agree to buy. Or the finance manager inflates the monthly payment, failing to disclose the base payment for the vehicle without add-on products. Be sure to have the customer sign off on the menu and products purchased and to keep a copy in the deal jacket. The menu should disclose the vehicle-only monthly payment as a starting point. Give the customer a copy. The menu should not just be used as a worksheet, Harkins says. Payment packing. The finance manager quotes a higher monthly payment to the customer that allows room to add products or services the customer has not agreed to purchase. The quote should just include the vehicle, taxes and fees. The dealership should consult a lawyer in advance to develop proper language that should be used consistently. But the finance manager needs to provide the complete story to customers, letting them know that the exact amount of the payment hinges on their creditworthiness and the terms offered by the financial institution. One possibility: Offer an example of the monthly payment of a $20,000 vehicle using the average terms available. Flying blind. The finance manager executes contracts without understanding the provisions and disclosures, such as the presence of an arbitration clause or the method for calculating finance charges. AFIP recommends the finance manager read all the documents and write out a full explanation of the provisions. The written explanation should be critiqued by the dealer or dealership's lawyer.